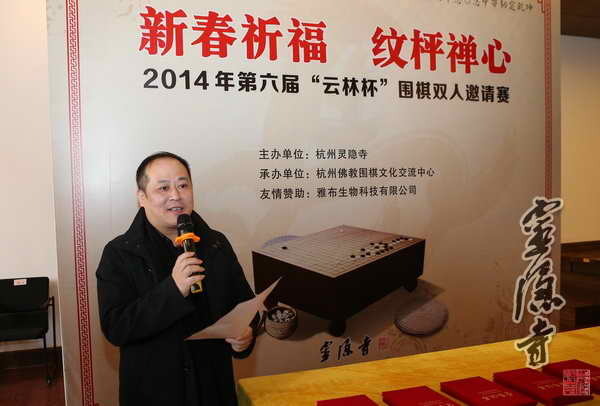 February21, 2014, the Sixth Yunlin Cup Invitational Pair Tournament of the Go had its grand opening ceremony in Zhejiang Hotel. The Tournament was organised by Lingyin Temple in its Centre for Buddhist and Go Culture, and jointly sponsored by Jacobs Biotech, Ltd. Lingyin Monastic Manager Venerable Yankong delivered the opening speech, and over 70 venerables and Go players from all over the country attended the opening ceremony. The opening ceremony started at 7pm, 21 February in Guiyu Hall, Zhejiang Hotel. 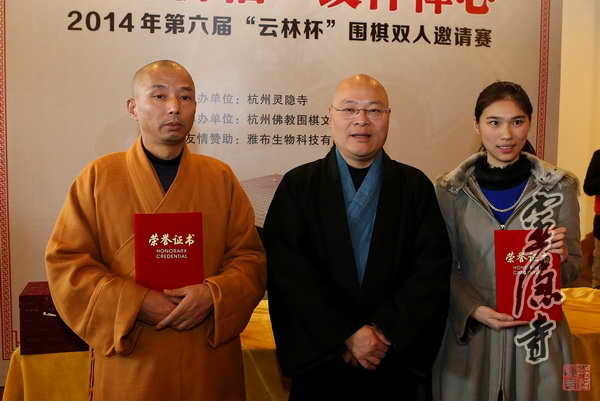 Monastic Manager Venerable Yankong expressed his gratitude on behalf of Lingyin Temple to all players who came to join the tournament. The first round of the tournament took place right after the opening ceremony and a ballot. A point-based ranking system was applied in this Tournament, and the duo with the highest total points out of the 32 teams after three rounds of games would become the winners. 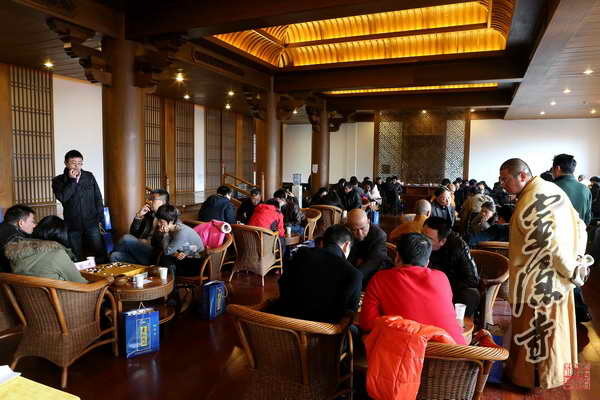 The game continued in Lingyin Temple on 22 February. Venerables from Lingyin Centre for Buddhist and Go Culture, professional players such as Cao Dayuan, Chen Linxin, Liu Shizhen, Lu Jun, Hang Tianpeng, Mao Yuheng and Zhang Yueran, and amateur players from all walks of life, competed in the games and exchanged tactics and strategies. Behind the Go is much wisdom and philosophy. Chan, the Buddhist term, initially meant the observation of the truth of the universe while thinking in quietness and concentration. Similarly, the game of the Go requires the observation of the full picture with calmness and caution, and emphasises on the acquisition of insights of wisdom about life. 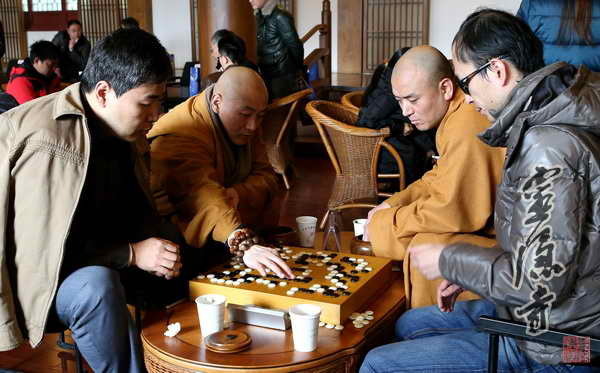 Playing the Go in Lingyin temple adds a tinge of Chan philosophy to the games, and helps the players better understand the Chan ideas of integration and harmony that operate beyond the board. 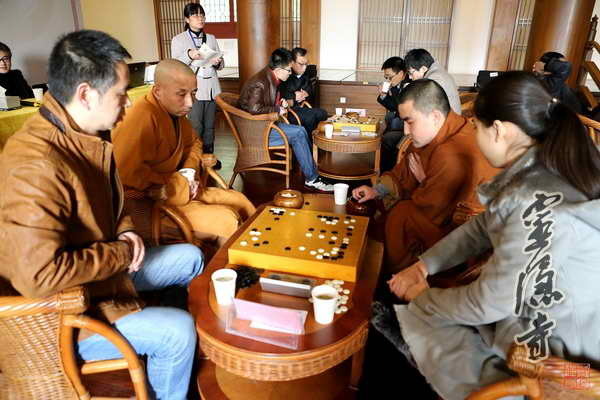 As the Yunlin Cup Tournament proceeded in Lingyin Centre for Buddhist and Go Culture, the players, bathed in Chan, competed in quietness. The games were no longer dominated by the obsession about the results, but by full concentration on each present move. 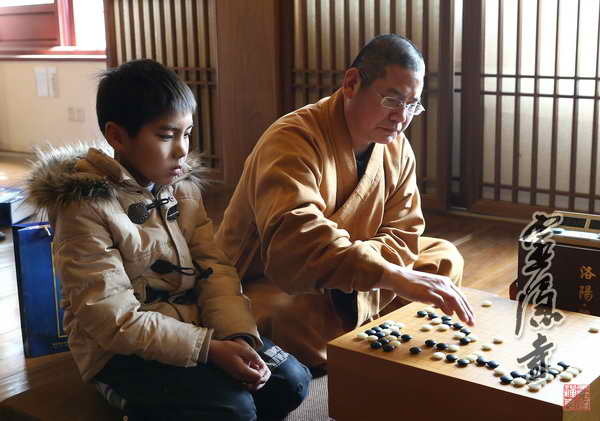 The young Zhou Junhe, a 10-year-old pupil at Shanghai Taoliyuan Primary School, stood out among the players: Despite his age he was already a 4-dan amateur; and he made every steady move with composure. 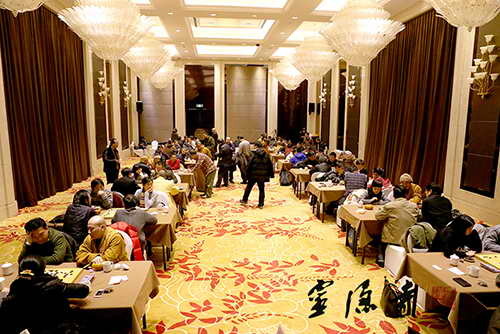 The first five places of the current Yunlin Cup Pair Tournament were decided at around 4pm after several rounds of fierce competitions. 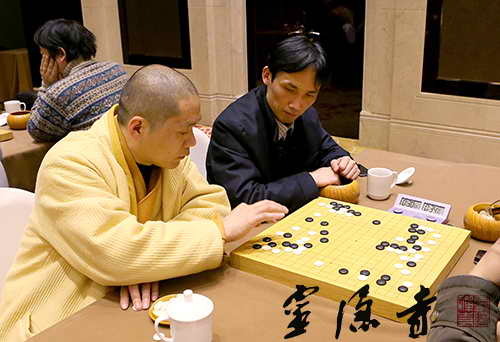 The duo comprising Venerable Ziyu from Lingyin Temple, and the professional player Zhang Yueran, won the first place. 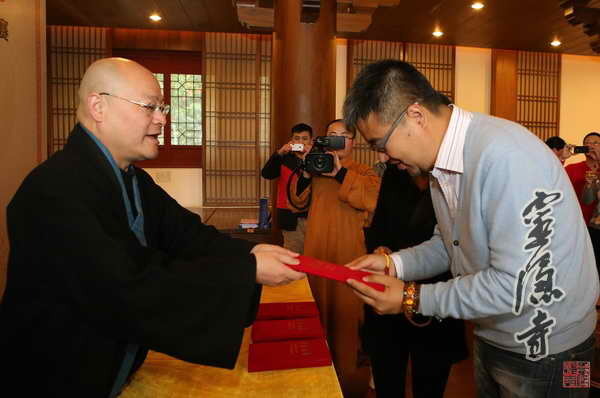 Lingyin Abbot Venerable Guangquan attended the closing ceremony and presented awards to the winners. Both the Go and Buddhism have exerted profound social influences throughout the cultural history with the spirits of humanitarianism and inclusion they both promote. Lingyin Temple has been holding the past six Yunlin Cup Go Tournaments to take advantage of the sport as a platform to provide opportunities for professional and amateur Go players to exchange experiences and techniques, to promote communications between Hangzhou Buddhist community and the Go community, to enhance the Go level of Hangzhou Buddhists, and to enrich the Buddhist culture with traditional sports. Moreover, the tournaments were organised to express the wish to seek for more tolerance, gratitude and pre-destined human relationships, and to spread and revive the Go by introducing more people to this discipline. 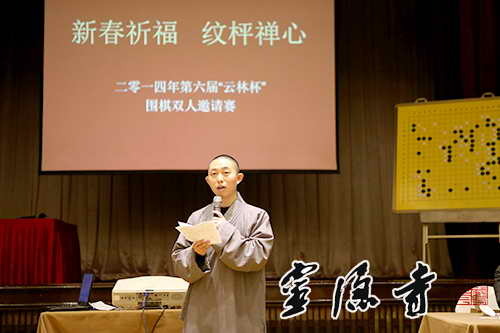 At the same time, the undertaking of such events would bring the Lingyin Centre of Buddhist and Go Culture out of its residence in Lingyin Temple to the front of the public and to the life of the common people, and would present the progressing image of contemporary Buddhist monks who are actively engaged in traditional culture and arts.